Can’t remember names? You’re not alone. 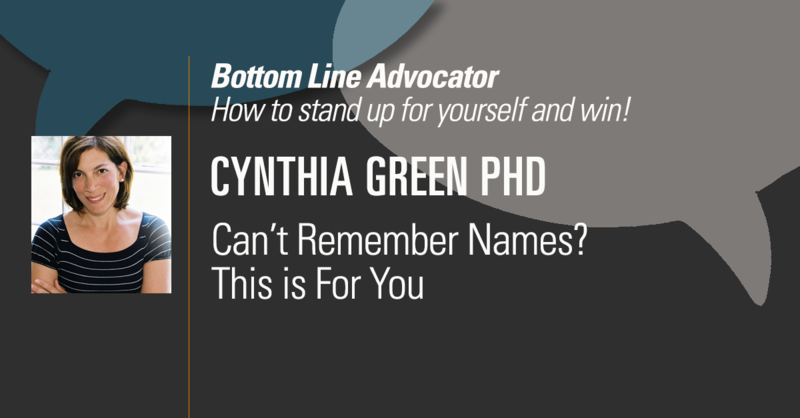 Dr. Cynthia Green explains what the problem is…and her best strategies for overcoming the problem. And, if all else fails, she also shares how she compensates when put on the spot and the name just won’t come out.